The Jeppesen Private Pilot Manual is your primary source for initial study and review on your journey to becoming a private pilot. The intuitive organization and colorful presentation of the manual helps you learn quickly from the start. 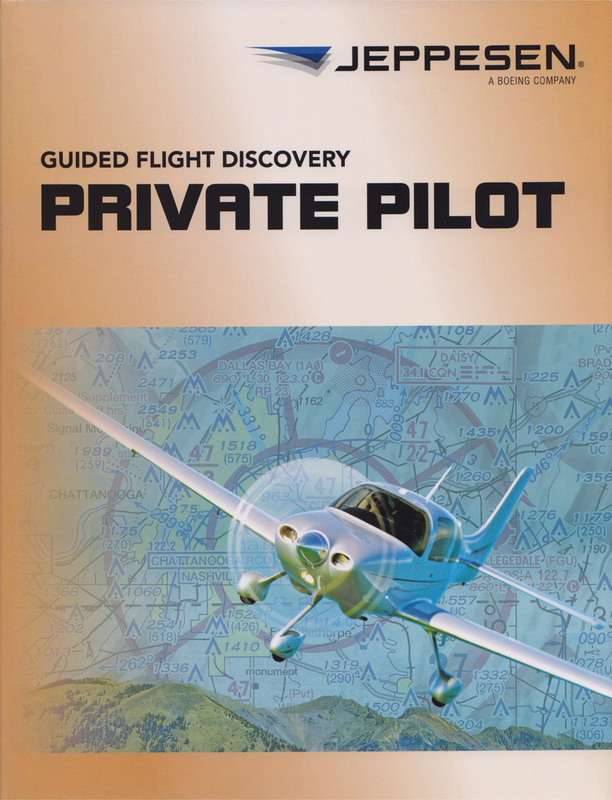 The text contains complete and concise explanations of the fundamental concepts every private pilot needs to know, with the subjects arranged in a logical manner that builds upon previously introduced topics. You can expand your knowledge of specific subjects and the world of aviation by exploring the Discovery Insets strategically placed throughout the chapters. To help you understand how your mind and body function during flight, human factors principles are presented in Human Element Insets. Throughout the manual, concepts that directly relate to FAA test questions are described in FAA Question Insets. To help you review material more effectively, key terms are highlighted throughout the text and listed at the end of each section along with a checklist that summarizes important concepts. Additionally, you can evaluate your understanding of material by completing the associated questions found at the end of each section. Review: Really like the way it is laid out. The small practice quizzes at the end of each section, with the answer key in the back, help a lot. Review: I like the extra tidbits & stories, also the FAA statements as you go along. Review: The content of the book is very good. But, I purchased the book a little over a month ago and it is falling apart already. For what is charged for this book, it should at least hold together. Poorly made book. What happened to the hard cover that last? Review: The information in the book is great. The problem is the cheap paper back cover that replaced the hard back cover. I have picked the book up five times at the most, and the cover is already about to fall apart from the pages inside the book. What happened to the hard cover? With a cost as much as this book cost, it should be a quality product. I own the Jeppesen Instrumental/Commercial book that has a hard back cover, and it is very durable. This shows me that Jeppesen is a cheap product company. Don't buy this book unless you want to keep the pages in a bag or box. The cover does not hold together. Poor product. Pros: Very informative, good pictures and understandable. Everything you need to know in 1 book. Review: This book is great. It's very detailed and has everything you need fo know as a private pilot, is didn't have to look anything up online, it was all in the book. Was this review helpful to you? Yes No 8 Other people found this review helpful. Cons: Cheap made book. Don't buy it. There are other companies that offer the same information. Buy Gleim. Their books are cheap, but with a cheap book price, and it will teach you the same thing Jeppesen will. Q: Do you have to buy another book if regulations or rules change? There are no updates included with this book. The best way to keep up with new regulations is with a current FAR/AIM book or eFAR electronic book. A: Yes, most of the images are contained on the Jeppesen Private Pilot Images CD-ROM. A: This book is only published in English. Q: What is the ISBN number? A: The ISBN is 0-88487-429-X. A: Yes, we also carry the Jeppesen GFD Private Pilot DVD Video Course.